I'm not really a burger person, but I can use some sometimes. After running, Rab and I went to UP Ayala Town to finally try the famous burger. Knowing myself, I ordered a burger patty, rice and egg. There's nothing really special about my order. It's not even on the menu but I love how they let me order it in the first place. This was Rab's order. I tasted it and it was good. Really good. I give it an A. I never liked cheese and burger together. I'm weird, I know. 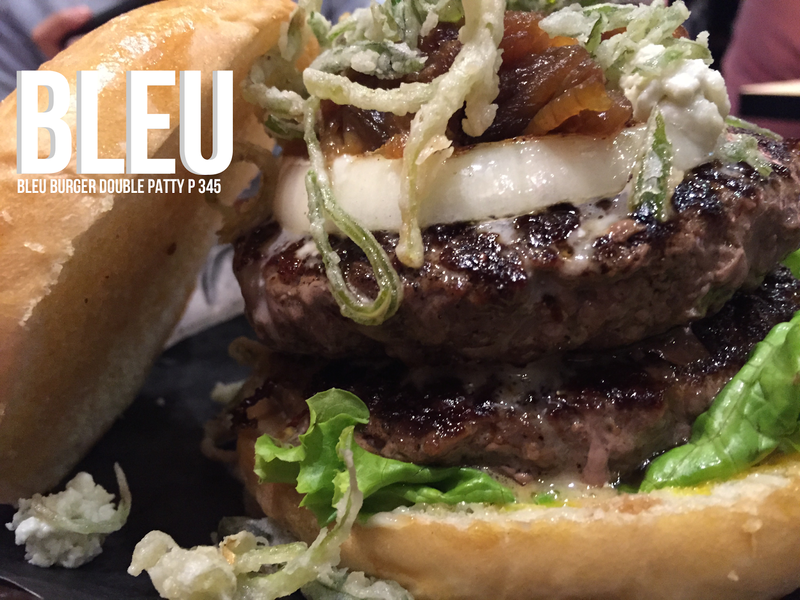 But this Bleu Burger made me change my mind about cheese and burger. When the time comes that I crave burger, this is where I'm going to go.